As omni-channel marketing becomes the new standard, many marketers consider direct mail outdated. But with advances in personalization, QR codes, personalized URLs and continued high performance—and the ability to sync direct mail with Iterable workflows—the channel is anything but old school. In fact, direct mail is more relevant, customer-focused and timely than ever before. No longer a sluggish and manual offline channel, with Iterable direct mail is digitally-charged. Using a direct mail integration in Iterable, you can trigger personalized postcards in real time based on event data right from the Workflow Studio. 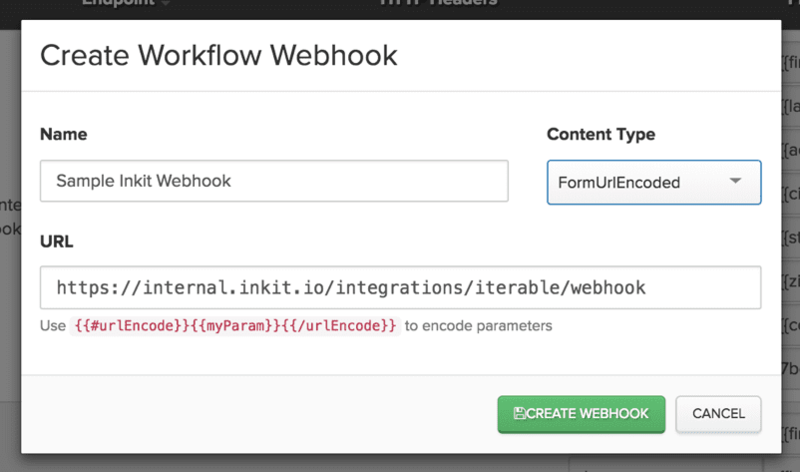 With universal webhooks, it’s easy to add Inkit postcards to your automated Iterable workflows. But is direct mail a good fit for your omni-channel marketing strategy? Is direct mail relevant to your business? A true omni-channel approach drives customer spend on every channel that is relevant to the business, in a way that feels organic to the consumer. Can you make direct mail feel on-brand? 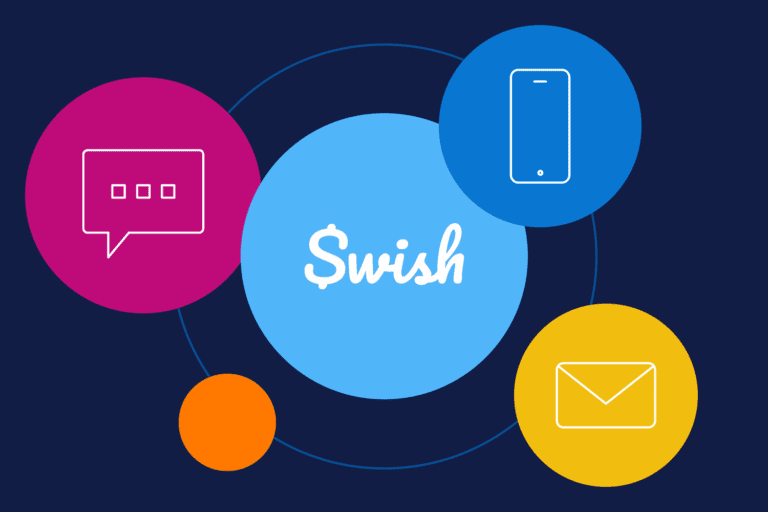 Do you need a new way to reach customers? 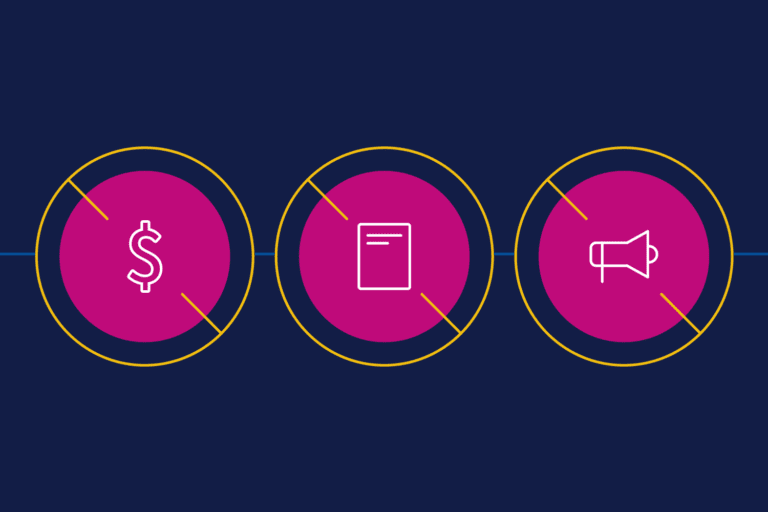 No matter how seamless your online customer lifecycle, your campaigns will be affected by consumers who grow more savvy and adept at tuning out online ads. Meanwhile, USPS reports 81% of Americans still open and scan their mail daily. Do you need to drive higher response rates? Direct mail’s innate feature of being in tangible form has an emotional impact on consumers, and this may be why it is still the top channel for direct response. Direct mail gets response rates 10 to 30 times higher than digital, according to The Direct Marketing Association. While digital channels allow increasingly personalized and interactive marketing, many marketers just can’t drive the conversion or retention volume they need through online marketing. Add direct mail into your workflows where you need to make up for digital’s shortcomings. Using Iterable with a direct mail integration, it isn’t much more complicated to build and trigger direct mail than email. In fact, many of the best campaigns we’ve seen at Inkit started with an email that was simply reformatted and ported into our builder. 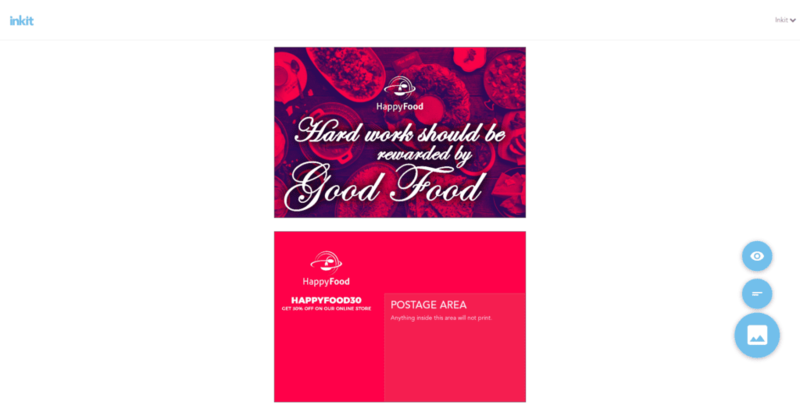 Create postcards easily by importing Iterable email designs using Inkit. To get the best ROI from automated marketing postcards, consider putting most of your direct mail budget into these stages of the customer lifecycle: re-engagement, retention/reactivation and loyalty. One of the biggest benefits of direct mail is that while email open rates continue to decline, the majority of consumers (especially household decision makers) still open and review their mail daily. Direct mail provides a channel to your customers or prospects when all your usual digital efforts have failed. If you integrate Iterable with a direct mail provider, you can set up a direct mail automation sequence that sends leads into a special direct mail workflow as soon as they’ve failed to open your last two emails. If your email offer is strong and performs well when opened, all you have to do is reformat the design for print. As mentioned above, some of the best re-engagement campaigns we’ve seen at Inkit involved repurposing an email campaign for direct mail. This saves you time on design and allows you to start with a proven offer. Pro tip: Do not shy away from direct mail if you’re targeting millennials. A USPS study found that this generation is most adept at ignoring online ads, and they enjoy and trust mail more than email. If you’re already using Iterable, you can respond to signs of customer disengagement pretty quickly, using a strategy like the one mentioned above. But once a customer has churned, try direct mail automation to win them back. Many marketers use email as their primary win-back channel, but you may need a dynamic approach to prevent and address unsubscribes. Imagine how much you can improve your churn rate if you sync email re-engagement sequences with postcard automation. Any marketer knows that customer loyalty is critical to success, and that the effectiveness of loyalty campaigns hinges on communication. Because direct mail is more likely to be opened and invoke an emotional response than email, it is a highly effective channel for loyalty programs. Personally, I’ve seen companies generate as much as a 60% lift in revenue per customer simply by sending postcards reminding customers of their loyalty balance—along with a small bonus offer to spend the points soon. There are many reasons that postcards are effective for loyalty programs, including this very simple one: direct mail has the benefit of longevity. For example, I never read emails from DSW. They send so many, and they all go straight to my promotions folder (which currently has over 34,000 unread messages in it). If I do happen to see a subject line about rewards, I will probably soon forget all about it. But, when DSW sends a $15 gift certificate to my house, I stick it on my fridge where I hope both to be reminded to use it—and that no other members of my household get to it first. So, now you have some ideas for when to sync direct mail with your digital campaigns but you might still be wondering how. Traditionally, sending out direct mail has been a major production, requiring months of back-and-forth between designers, printers and other parties. And even with all that lead time, the results tended to look like junk mail. Today with our integration with Inkit’s modern direct mail software, you can design and upload your own postcards into a plug-and-play dashboard, proof them yourself and mail them almost instantaneously. Follow these five rules to create effective, modern direct mailers. Sending data-driven direct mail means keeping up with the times. Instead of predictable stock photos, opt for bright, appealing, original photography that will stand out in the mail pile. If your business doesn’t lend itself to nice visuals, consider a modern illustration. In an Infotrends study, 80% of participants reported being more likely to open direct mail if it was personalized. With Iterable, you can segment by demographic data, customer behavior and custom events to keep your mailers out of the junk pile. Build completely unique creatives for each segment or cut costs by tailoring different versions of one postcard, personalizing it for subgroups. Writing your postcard like an email is the quickest route to the recycling bin. Avoid including long lists of benefits and multiple calls to action; do not overload the customer with information. Your goal is the offline equivalent of an Instagram like. Just give the recipient a reason to pause when sorting through the mail—that’s it. 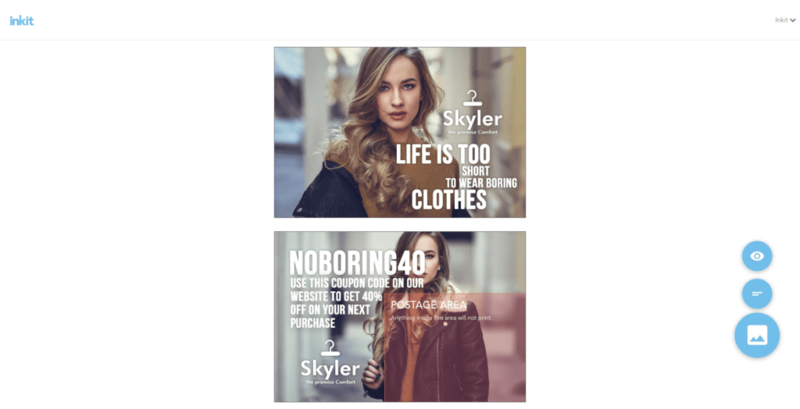 Keep it simple like Skyler does in this direct mail piece, powered by Inkit. At Inkit, we’ve found that our most successful users stick with one simple CTA, like offering a free entree or a bonus to use up loyalty points. Limiting your postcards to one CTA also makes it easy for you to track the redemption rate as well as run tests and iterate. If you’re using Iterable, direct mail is just one element of a larger omni-channel messaging strategy. Tie in digital channels to increase engagement, continue the customer’s journey and ensure you are tracking the mailer’s performance. You can do this by incorporating QR codes to send customers to product demo videos or to unlock freebies or contest entries, or direct recipients to landing pages for more information. Don’t forget to encourage customers to connect with you on social media, too. Make sure every mailer drives traffic back online in one way or another. 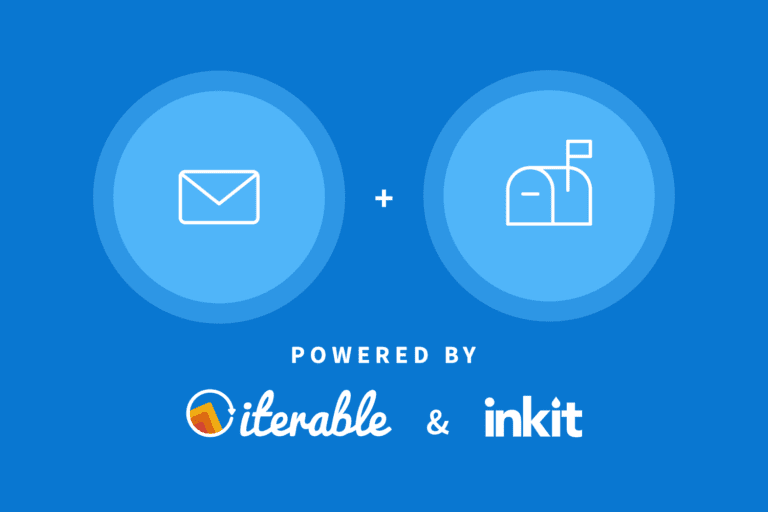 Are you ready to get started sending direct mail through Iterable? Our newest direct mail partnership with Inkit launched today. Contact the Iterable support team to learn more about our integration. Want to get a hands-on demonstration of our direct mail automation? Inkit will be sponsoring Iterable’s debut omni-channel marketing conference, Activate, on April 3rd in San Francisco. Registration closes in two weeks, so sign up today! 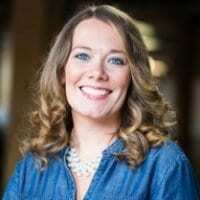 Rachel Wedlund is an experienced content strategist. She creates intuitive customer journeys for fast-growing software startups, nonprofits and agencies. She currently writes about direct mail, content marketing and digital marketing trends for Inkit.